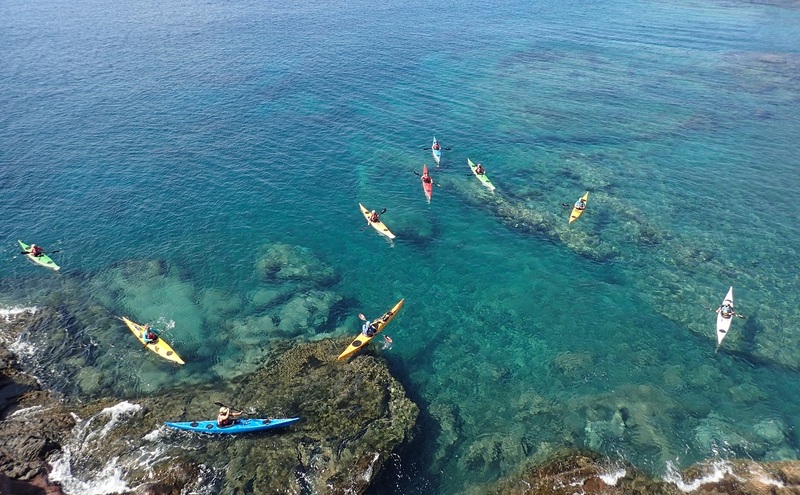 Guided sea kayaking trips and courses in Lanzarote, Canary Islands. Guided Tours • Courses • Rentals • News-sign me up! Think you know Lanzarote? Think again! Come with us on a relaxed and fun day out to explore the most varied coastline in the Canary Islands. Only Lanzarote can offer soaring 500m high cliffs from which lava once cascaded into the sea, gently sloping white and black sandy beaches, stratified volcanic rocks, caves, arches, a castle and cityscape all in one island. 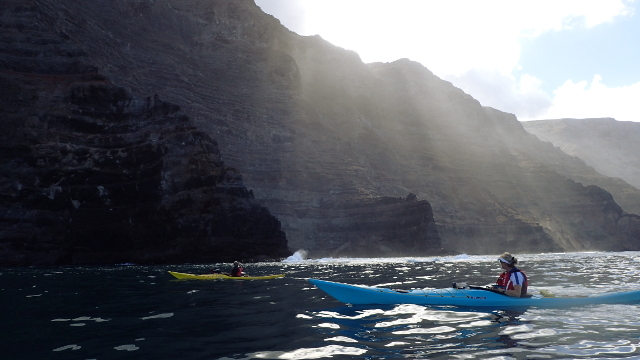 Add in the natural beauty of Chinijo, the largest marine reserve in Europe, and you have a wide array of different paddling opportunities that no other island in the area can match. Looking for a warm winter paddling destination in subtropical Europe with the reassurance of a 5 Star BCU guide? And respected brands like SKUK, Celtic and P&H? You can only find this in Lanzarote! Looking for a new place to bring your friends or clients? Want rugged coastlines, Atlantic swells, isolated beaches and nearby islands to explore? We have just the place! And we're an SKUK expedition centre so you can be sure you're getting top quality equipment. Bring your own group and explore the archipelago! More information here! Know absolutely nothing about kayaking but want to give it a try without taking it too seriously? Or are you looking for something more advanced? We run courses to suit any level. Just tell us what you'd like to learn and we'll make it happen! 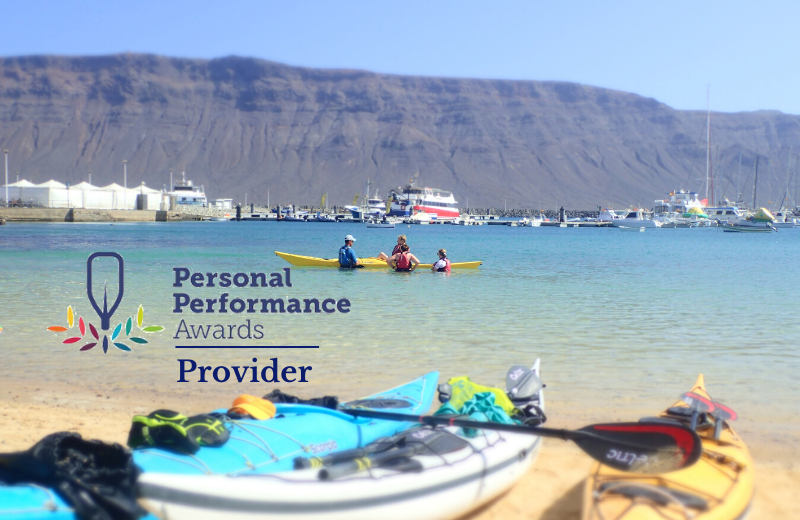 If you've already planned a holiday to Lanzarote and are looking for activities on the island, why not give kayaking a try? On our trips we stop for a snorkel and provide all the equipment you need, so you get to experience the underwater world as well. Quieter, more peaceful and environmentally friendly than a boat trip, gliding across the water in a kayak will get you close to nature so you can really appreciate the beauty of your surroundings. If you've never tried sea kayaking before, try one of our beginner courses. Learn a new skill while on holiday in beautiful surroundings and you never know, you might get hooked! We are proud to be a SKUK Expedition Centre and as such, you can be confident in the knowledge that we will provide a high standard of leadership on our excursions and high quality kayaks from Sea Kayaking UK. If you've never used a Nigel Dennis kayak before, what better place to try one than on holiday with us? We have the Romany, Romany Surf, Romany Excel and the Pilgrim Expedition in fibreglass construction, and the Romany Surf RM Plastic. For further information on these kayaks, visit the Sea Kayaking UK website. As well as the SKUK kayaks, we have the Scorpio, Delphin and Hammer from P&H. Manoeuvrable, stable and fast, we are confident that you will enjoy exploring Lanzarote in these boats. Try one boat one day and a different model the next to make the most of your kayaking holiday. The paddles we provide are Celtic carbon shaft and carbon blades, and buoyancy aids and spraydecks are from Peak UK. Sick of going from website to website looking for fights and car hire? We want to make it easier for you so here's this handy little widget from Skyscanner. Now you can browse flights, car hire and book your kayak trips right here all on the one site! Get our newsletter for all the insider info on Lanzarote, latest offers and kayaking topics!